We are big pizza fans around my house and usually make it once a week. 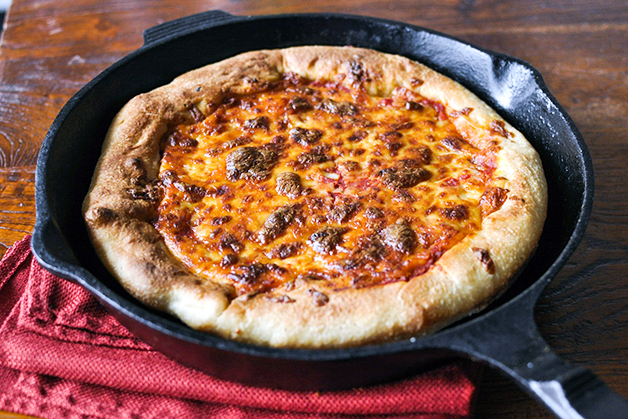 Generally I do a traditional thin-crust pizza on a pizza stone and call it a day, but thanks to Garfield the cat, my kids recently became obsessed with stuffed crust pizza. I know it’s a recipe that’s popular on the Pizza Hut menu, so I decided to do some research and make my own healthier, fake-out stuffed crust pizza recipe at home. 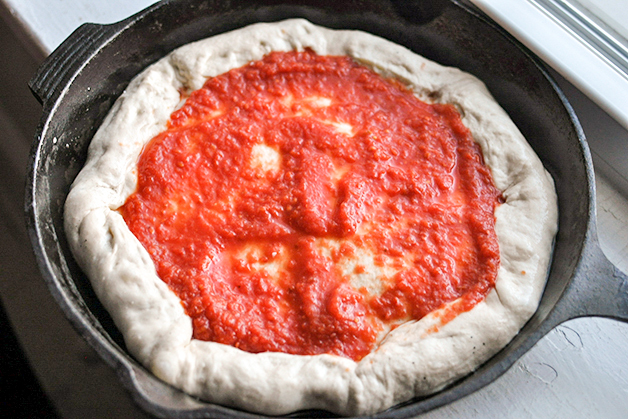 Turns out, it’s crazy easy to make deep-dish stuffed crust pizza, and it’s super delicious. 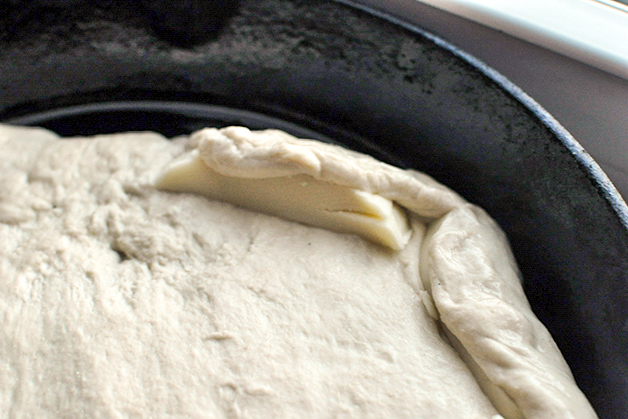 The kids loved helping me stuff the crust and, truth be told, making it in a cast iron pan is way less messy than flouring up my counter top and rolling out my thin-crust dough. 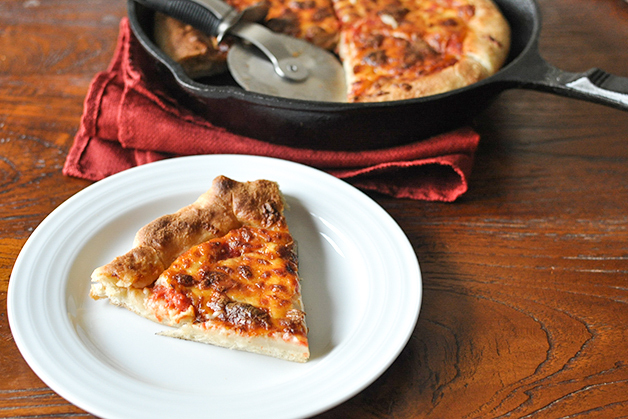 This may very well be our new go-to pizza recipe. Win for mama! The kids approved, and I hope Garfield would too! Step 2: Rub a well-seasoned 9-inch cast iron skillet with olive oil, making sure to spread oil up the sides as well. 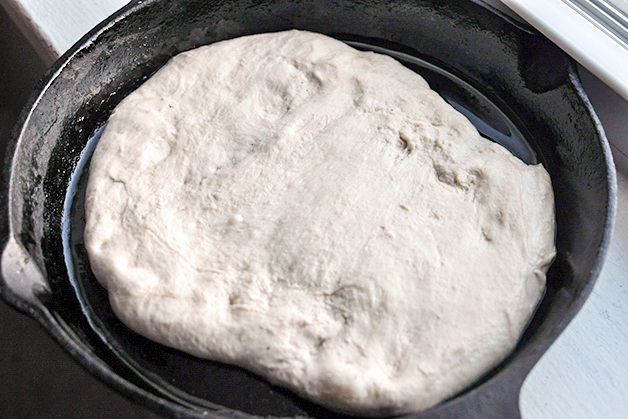 Step 3: Press pizza dough out until it fills the entire skillet. 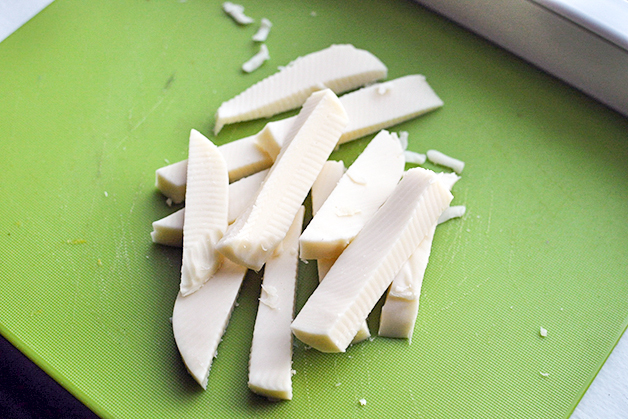 Step 4: Place slices of mozzarella around the edge of the pizza. 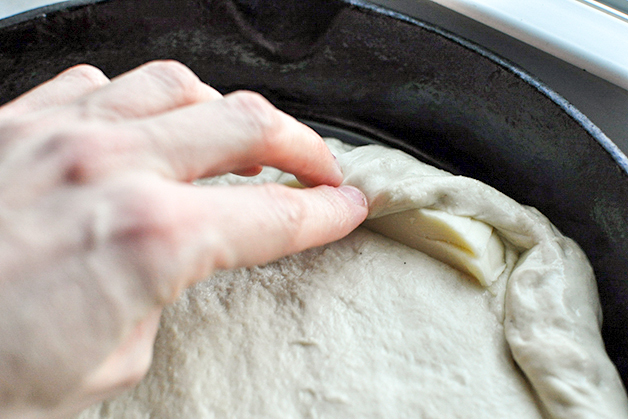 Fold dough over the cheese and press to seal. 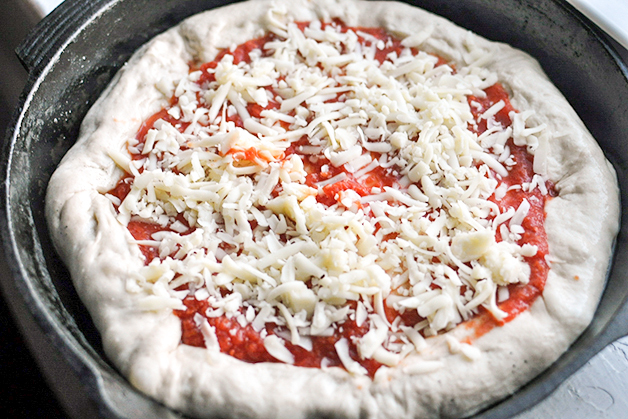 Step 5: Place sauce and cheese on the pizza and bake for 15-18 minutes. Cheese will be brown and bubbly. Enjoy!